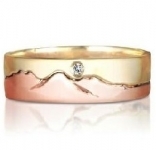 Morning Star Snowdon Ring With Diamond Size - R in stock. All rings made to order. 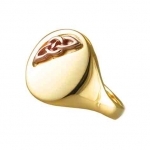 5mm, yellow and rose gold Snowdon Ring incorporating rare Welsh Gold. Presented in a fine Welsh Dragon case with a Certificate of Authenticity.